Yehuda Hendler of the Esh Kodesh community says anarchists are gathering intelligence for terrorists in Yesha. Foreign and Israeli anarchists are helping terrorists to gather intelligence, Yehudah Hendler of Esh Kodesh said in an interview with Arutz Sheva. The anarchists, he said, help Arabs from Palestinian Authority enclaves to force their way into Jewish towns, ostensibly to harvest olives – an activity that has served as cover for terrorism on past occasions, he said. The murderers of five members of the Fogel family used the olive harvest as an excuse to gather information on the victims’ town and to plan their attack, Hendel noted. "Experience shows that they come together with the terrorists to gather intelligence before the attack. Today we know that the two killers of the Fogel family arrived during the olive harvest to gather information on penetration into the community," Hendler said. "Last Friday, hundreds of Palestinians came to our region to harvest in our communities - accompanied by the anarchists," Hendler explained. "This was done without necessary military coordination, and any uncoordinated incursion could be prove to be life-threatening." Hendler said he hoped the IDF would take the necessary steps to avoid walkabouts by Anarchists and potential terrorists in Jewish communities. "We went down to where they were and asked them to leave, and they did leave. But we hope that the army will be more decisive in the future. We feel that the army does not react strongly enough to these provocations and need to actively block entry to our community." 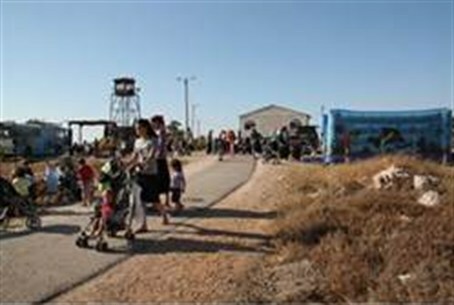 Their activities frequently include entering closed military zones, harrassing Jewish residents and soliders in Judea and Samaria, setting fire to Jewish orchards and vinyards, interfering with counter-terrorism operations, knowingly distributing food and money to known terrorists, and vandalizing IDF materials and vehicles.